Welcome to the August 11, 2017 edition of ACM TechNews, providing timely information for IT professionals three times a week. The U.S. Defense Advanced Research Projects Agency (DAPRA) is coordinating a project in which 100 researchers at more than 30 universities and private institutions are seeking to create deep-learning artificial intelligences (AIs) that can explain their decision-making to humans. DARPA program manager David Gunning says this advance is crucial as AI becomes more deeply entrenched in everyday life and a greater level of trust between humans and machines must be nurtured. Participants have spent the project's first phase working on focus areas of their choosing, and in the second phase each institution will be assigned one of two "challenge problems" to address. The challenges will either involve using AI to classify events in multimedia, or training a simulated autonomous system to conduct a series of missions. The final result will be a set of machine-learning methods and user interfaces that public- or private-sector groups could use to construct their own explainable AI systems. Researchers at the University of Southampton in the U.K. are challenging fantasy soccer managers from around the world to compete against Squadguru, a new machine-learning algorithm. The researchers claim Squadguru consistently outperforms millions of players in the popular Fantasy Premier League game by utilizing the latest artificial intelligence techniques. The team notes the algorithm was tested on player data from previous seasons and produced teams that would have consistently ranked in the top 1 percent of the Fantasy Premier League. The Squadguru system was developed by first harnessing Bayesian Machine Learning techniques and five years of past soccer data to create and train a predictive model that forecasts the outcome of future matches and the performance of individual players. 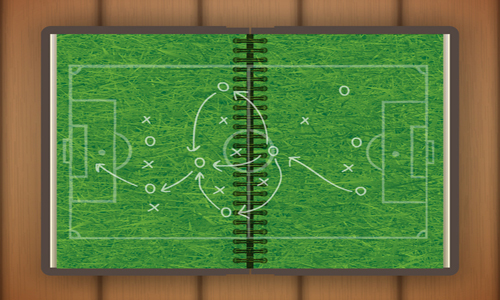 The researchers then created a combinatorial optimization algorithm that determined the best moves to make, given the allocated budget and other rules of the Fantasy Premier League. Researchers at the University of Adelaide in Australia say USB connections are vulnerable to information leakage, making them even less secure than previously thought. The researchers tested more than 50 different computers and external USB hubs and found more than 90 percent leaked information to an external USB device. "If a malicious device or one that's been tampered with is plugged into adjacent ports on the same external or internal USB hub, this sensitive information can be captured," says University of Adelaide's Yuval Yarom. The leak was discovered using a modified novelty plug-in lamp with a USB connector to "read" every keystroke from the adjacent keyboard USB interface. The data then was sent via Bluetooth to another computer. "The USB has been designed under the assumption that everything connected is under the control of the user and that everything is trusted," but it will never be secure unless the data is encrypted prior to transmission, Yarom notes. Researchers at Carnegie Mellon University (CMU) and the Hebrew University of Jerusalem in Israel have used crowdsourcing to teach computers to generate analogies so they can mine datasets to address new challenges by repurposing old concepts. "After decades of attempts, this is the first time that anyone has gained traction computationally on the analogy problem at scale," says CMU professor Aniket Kittur. The researchers hired participants via Amazon Mechanical Turk, tasking them to look through products on an innovation website and find analogous products from the same source. The participants noted which words caused them to link disparate products, mapping each pathway. Computers with deep-learning algorithms used these insights to analyze additional product descriptions and find new analogies. The researchers say this strategy can be used to customize computer programs to identify analogies between patent applications and literature on global problems. Researchers at the University of Washington (UW) have developed a method for using synthetic DNA impregnated with malware to hack into a computer analyzing the DNA after it has been run through a gene-sequencing machine. "This is something [the genomics industry] and the U.S. government should be concerned about," says UW professor Tadayoshi Kohno. The researchers also say the technology can enable hackers to generate malware within synthetic DNA. Theoretically, attackers could blend synthetic DNA strands containing malware into a solution and have it sequenced at a lab, and then launch attacks once they have commandeered the lab's computers. The UW team is concerned companies that make synthetic DNA have no systems in place to prevent the creation of DNA strands containing man-made malware. The researchers say they decided to publish their work now so the genomics sector can leverage their research to ameliorate the potential security risk. 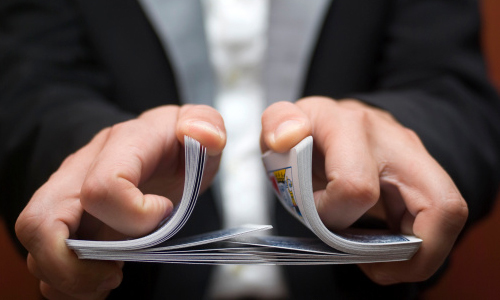 Researchers at Queen Mary University of London (QMUL) in the U.K. have developed an artificial intelligence (AI) system that uses Internet searches to help design a word association magic trick. The system automatically sources and processes associated words and images required for a new mind-reading card trick that is performed by a magician. The computer can assist in a creative task by handling some of the workload during the design of the trick by acting as an aid to prompt further creativity because it can find suggestions a human magician might not have considered. "This research is important, as it provides further evidence that computers can be used as aids in creative tasks," says QMUL professor Peter McOwan. Although the new algorithm can replace the need for carrying out psychological experiments on volunteers prior to performing a trick, the researchers found the best results occur with a combination of the algorithm and psychological experiments. Girls Who Code set up the national summer immersion program to give high school girls from Washington, D.C., an appreciation for science, technology, engineering, and math that could lead to careers in those fields. The seven-week program offers instruction in basic coding functions and then rapidly transitions to more refined coding languages. The program also hosts field trips and brings in female guest speakers representing tech leaders. "It's incumbent on all of us to encourage young women that there is a place in science, in tech, and certainly in the software industry for them," says Software.org executive director Chris Hopfensperger. He says the program's sponsors include organizations such as Software.org and Lockheed Martin. 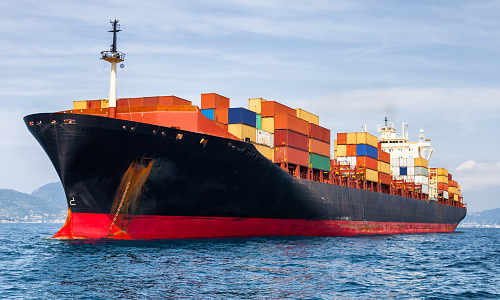 A recent incident in which the global-positioning system (GPS) signals of at least 20 ships in the Black Sea were hacked to indicate they were in the wrong location suggests a new form of electronic warfare, according to experts. They say this is the first documented case of GPS spoofing, which is a far more insidious cyberattack than jamming the GPS satellite signals with noise. "Jamming just causes the receiver to die, spoofing causes the receiver to lie," notes consultant David Last. The University of Texas at Austin's Todd Humphreys believes the Black Sea incident is the result of Russia testing a new cyberweapon, given that GPS spoofing has been wreaking havoc on the receivers of phone apps in Moscow for the past year. Experts are worried that the low level of expertise and power required to launch such an attack could add GPS spoofing to the arsenal of nation states as well as petty criminals. DeepMind and Blizzard Entertainment are developing tools for deploying and training artificial intelligence (AI) algorithms in the "StarCraft" game environment so scientists can gain insights into imbuing machines with humanlike intelligence. Among the challenges the project faces is applying reinforcement learning to StarCraft, given it takes such a long time for each game to unfold. DeepMind researcher Oriol Vinyals also notes the game will require algorithms to develop better memory storage techniques, because StarCraft players typically get only a glimpse of their opponents' activities. The tools will provide machine-learning AI agents with the same perception of the game and interface that human players have. Blizzard engineer Jacob Repp says his company wants to see if such algorithms could make gameplay more interesting, either by playing against humans or collaborating with them. Repp notes creating agents that follow scripted commands already is possible, and their use of machine learning could further enhance the game. IBM Research says it has developed a breakthrough method to distribute computing for significantly faster processing of big data artificial intelligence (AI) workloads via new distributed deep-learning software. The technique involves linking a group of servers together to work in conjunction on a single problem, training AI models on millions of photos and drawings. "Most deep-learning frameworks scale to multiple [graphics-processing units (GPUs)] in a server, but not to multiple servers with GPUs," says IBM's Sumit Gupta. "Specifically, our team wrote software and algorithms that automate and optimize the parallelization of this very large and complex computing task across hundreds of GPU accelerators attached to dozens of servers." Gupta says IBM achieved near-ideal scaling with the software, realizing record low communication overhead and 95-percent scaling efficiency on the open source Caffe deep-learning framework across 256 GPUs in 64 IBM Power systems. Facebook AI Research was the previous best-scaling champion with 89-percent efficiency. Researchers at James Cook University in Australia have received a grant to continue their work in developing Kimberly, a virtual reality (VR) version of a Lumholtz's tree kangaroo. The researchers will equip the VR kangaroo with artificial intelligence in order to enable the model to appear even more lifelike to VR users. "We have created a [three-dimensional] automated model, so it looks, moves, and behaves like a real tree kangaroo," says James Cook University professor Ickjai Lee. He says Kimberly was designed to enable users to experience the nocturnal marsupial via a VR headset without having to go into the rain forest. The model was rendered in a digital forest, based on the animal's natural habitat, and includes a creek and native trees. 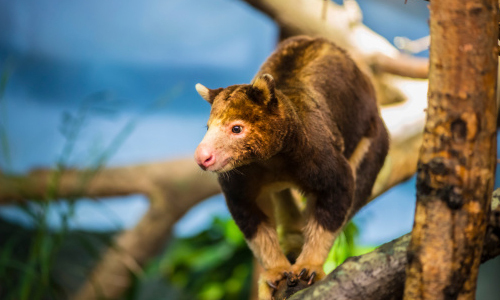 "It's really hard to have a real interaction with a tree kangaroo, because they're nocturnal," Lee notes. "But visitors will able to see, touch, and even say 'hello.'" At last month's Amazon Robotics Challenge in Nagoya, Japan, the IFL PiRo team from the Karlsruhe Institute of Technology (KIT) in Germany presented a robotic shelving concept. Instead of arranging the goods in a conventional shelf, the objects are placed in mobile boxes arranged horizontally around a central robotic arm. Some boxes can be moved by the robot like drawers, enabling multistory arrangement. A second robot can be added to the system to work as a feeder and bring the required boxes or remove those that are no longer needed. "As today's warehouse systems have reached their technical limits, we wanted to develop a completely new system for the 21st century in order to make full use of the advantages of the robot gripper," says KIT's Kai Markert. The system has cameras that supply two- and three-dimensional image data, while image-recognition software and neural networks detect the objects and tell the robotic arm where to move them. 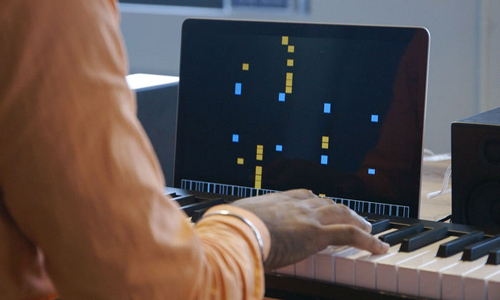 In an interview, Google's Magenta project leader Douglas Eck discusses musical composition by artificial intelligence (AI). "Currently the focus is on algorithms which learn by example, i.e., machine learning, instead of using hard-coded rules," Eck says. Machine-learning methods Eck says Magenta has used include recurrent neural networks (RNN), convolutional neural networks, variational techniques, adversarial training, and reinforcement learning. Eck notes one neural-network algorithm from Magenta, NSynth, was trained to create new sounds on notes produced on different instruments. He also says a more recent music AI, Performance RNN, was trained on classical piano performances played on a modern player piano. "I also think there's been increased focus on using computers as assistants for human creativity rather than as a replacement technology," Eck notes. He would like to see musicians train models on their own musical compositions and then improve them further.